mean ol' meany: Um, Wealthcare, Stealthcare? Ahhhh, Yes, Healthcare! Um, Wealthcare, Stealthcare? Ahhhh, Yes, Healthcare! 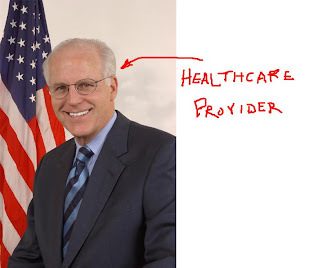 This is Republican Senator Chris Shays, the tee-total moron from Connecticut. He is involved in the Congressional investigation into steriod use in baseball and he has no friggin' idea what baseball is. Hey, I am sure that this is just an isolated case, though. All of the rest of our Congressmen simply must be geniuses to make up for his stupidity. Not only did he refer to Rafael Palmeiro as "Palmerry," he also referred to Palmeiro's "300th" hit and the "Blackhawks" scandal of 1919. Now you want this guy to determine what kind of healthcare you get? Even though this dude is a member of the "good" party, he is still a blithering moron. Can you even imagine how many braincells that he would have to forfeit to become a Democrat? Damn, do you think that maybe he could hire someone to explain baseball to him before he sits on a committee discussing baseball? This "man" lies about being a baseball fan and cannot even get basic questions close to the realm of baseball and you want to trust him on your health? He is an ignoramous concerning something that has no gravity at all to the grand scheme of things, so he must be too far into the big stuff, then. Sorry, but that is just silly to me. Oh well, sign me up anyway for that free medical treatment stuff. How bad could it possibly be?